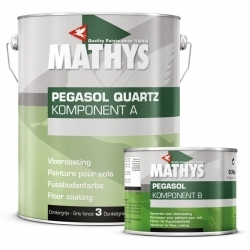 In time for summer 2018, Rawlins Paints are expanding its range of sports paints – which also include leisure centre paints, tennis and squash court paints and varnishes, and swimming pool paint – from popular commercial and industrial purpose manufacturers Coo-Var, Rust-Oleum, Blackfriar, Teamac and Mathys. If you require any additional information about the products available, please refer to product data-sheets, or contact our Technical Support team. The common perception of sports paints may be line-marking paints for football pitches or tennis courts, or swimming pool paints. 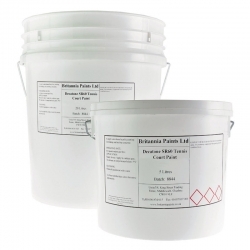 Here at Rawlins Paints we also stock heavy duty varnishes for not only gymnasiums, basketball or squash courts, but for leisure centre floors too, and anti-mould paints for areas that are of high humidity – such as locker and changing rooms. 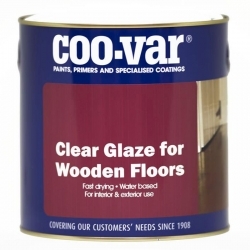 Coo-Var Tennis Court and Drive Paint is a water thinned coating designed to provide colour on asphalt and tar based tennis courts. 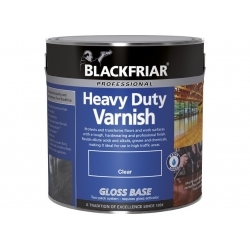 Ideal for tarmac drives and paths. 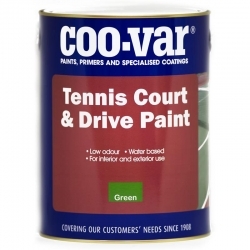 Coo-Var Tennis Court and Drive Paint is ideal for painting tennis courts and is also idea for use on tarmac drives and paths. 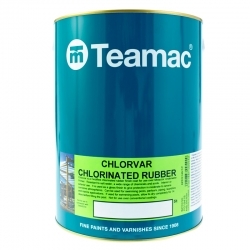 A solvent based, plastified, chlorinated rubber paint for swimming pools, fish ponds and any other areas requiring excellent water and chemical resistance such as industrial bunds, tanks, silos, etc. 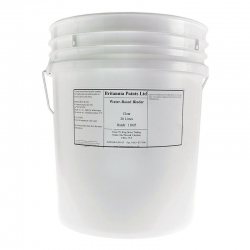 Alkali and acid resistant making it perfect for dealing with chemical and aqueous solutions in areas of constant submersion. 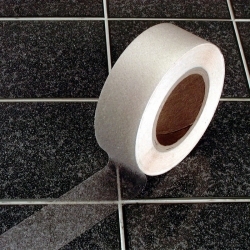 A two-pack, water based, anti-slip floor coating for indoor and outdoor applications, ideal for use on parking spaces, tennis courts, terraces, balconies, etc. 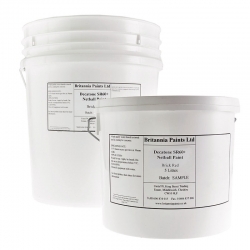 Britannia Decatone SR65+ Netball Court Coating is a tough, long-lasting and slip resistant colourful finish for all netball courts made of concrete or macadam. Available in red and two shades of green. Advantages Ideal for concrete macadam netball courts. Slip resistance of 65+ in the wet or damp for safer play. Contains algicide and fungicide. 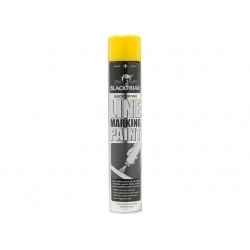 Line-marking paints for tennis or netball courts, rugby and football pitches can be applied with technical airless sprays, or line-marking equipment, but for touch-up jobs and temporary markings many customers prefer to use aerosols. 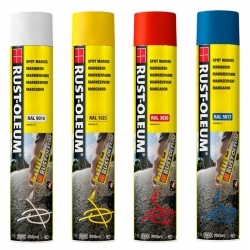 These line-marking aerosols are available in a wide range of colours, including white and luminous colours for improved visibility. Many products available here are also suitable for playgrounds and adventure park equipment. Bright, colourful and water-based paints can transform and re-launch a wide number of public facilities for summer trade - inclusive of theme parks, petting zoos, 'pop-up' adventure playgrounds and holiday resort boating lakes, pitch and put golf-courses, etc.